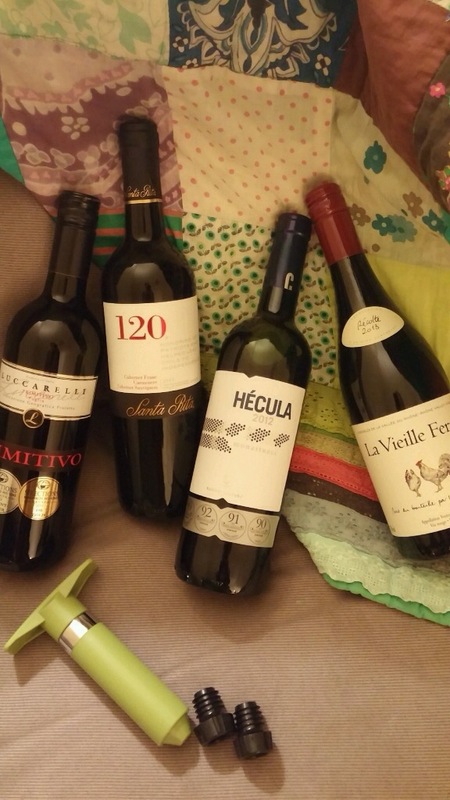 This entry was posted on Monday, January 5th, 2015 at 5:36 pm	and tagged with Hecula, La Vieille Ferme, lcbo value red, LCBO value wine, light bulbs, Luccarelli Primitivo, Santa Rita 120, Spain, weinfrischhalter Geschenskset and posted in LCBO Quick Pick list. You can follow any responses to this entry through the RSS 2.0 feed. I should move back to Ontario! Unlike my sis, my taste for red wine is a bit pricier. I’m usually paying somewhere in the region $18-24. La Ville Ferme here is $19.